GE3LS research looks at the important ethical, environmental, economic, legal or social issues of where genomics and society intersect. 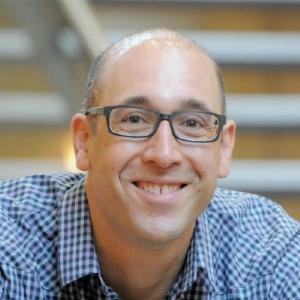 Genome Canada kicks off a series on GE3LS researchers with this profile of Matthew Schnurr, Ph.D., Associate Professor, International Development Studies, Dalhousie University. Where did you grow up? Toronto. Apart from your present one, what’s the best job you ever had? Swim Instructor. What’s your academic/research background? How did it lead you to GE3LS research? I started off as a student in the natural sciences studying agricultural biotechnology, then got interested in examining the political and social implications of these new tools. How would you describe your research to a group of Canadian students? Why is your work important to them? My work explores the potential for genome-enhancing agricultural technologies to alleviate poverty and hunger for small-scale African farmers. These questions should resonate with anyone concerned about issues of global poverty and inequity. What kind of response has there been to your research? What impact have you seen? My work seeks to amplify the voices of farmers within these debates. The response from policy makers and development donors in Africa has been positive as most stakeholders agree that for a technology to be widely adopted it must reflect the priorities of the end user. What’s the most unusual or unexpected thing about your work as a GE3LS researcher? The debate over new biotechnology is politicized and polarizing. I’ve been surprised by how fervent people are on both sides of the ideological divide. What do you think is the biggest issue facing genomics in the next decade? In my view it’s the new suite of gene editing technologies that make genomic manipulation more accessible and more available than ever before, In particular, I believe there is an urgent need for social scientific research into the social, political and ethical impacts of this transformational technology. Finally, we’re all going out later for karaoke. What song do you sing and why? Toto’s Africa – it’s my place and my song!